You have the choice of selecting two different submission types: Ajax Forms and Normal Forms. 1. Normal Form Submission will reload the page. By default form gets submitted with ajax. If you want to use multiple forms on the same page you need to use ajax form submission. If you run into any kind of conflict using ajax form submission, it can be a jQuery conflict with another plugin. Please test if the form submission works if ajax is disabled. If you are able to use the browser inspector check the console log for an error message and create a ticket. We will try to make the jQuery work with the plugin witch creates the issue. 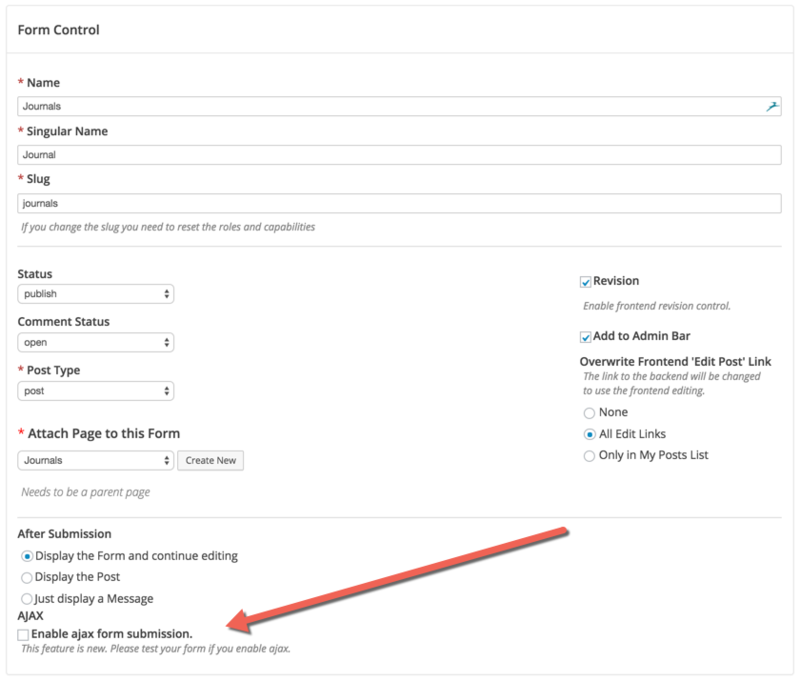 You can find the ajax option on on the bottom of the Submit section in the Form Builder. If you want to display the form and post list on the same page via shortcodes turn ajax off. This will make sure avery new entry is listed in the posts list after the form got submitted.